Car maintenance is crucial to the life and smooth operation of any vehicle. One of the most important things to do in regards to car maintenance is to make sure your carburetor is clean. Keeping your carburetor unclogged and grease free is essential for the car’s engine operate at an optimal level. The carburetor controls the fuel and air amount your engine receives. If the carburetor gets dirty and clogged, it will negatively affect the timing of your vehicle and throw your whole engine out of synch. Here is how you can clean your carburetor. Read on to find out how. Locate your carburetor on the car’s engine. Then, take it out. A carburetor is going to be attached to five lines to the engine: throttle,cold choke tube,the PCV hose, vacuum line, and gas line. Disconnect every one of the five tubes from the carburetor. It bolted on to the engine manifold. Unscrew the four bolts used to secure it and take out the carburetor off car engine with the Allen wrench. The carburetor can be steeped in an industrial solvent when it has to be degreased.You can go to any car part store and ask for the best cleaners. The staff will point you int he right direction. There will be many. Most auto mechanics like very caustic cleaners to clean any carburetors. They want them clean as possiible. Take off all plastic components of the carburetor prior to placing it in the cleaner. The plastic will melt if placed in the caustic solvent. Attempt to agitate the container with the carbureator in it or the carburetor itself. This will expedite the degreasing process for you. Allow the carburetor to soak in the solvent overnight. Take the carburetor out of the solution and wipe. Use rubber gloves for this part. Wear them anytime while you are touching the carburetor when it is covered in the caustic cleaner. Finish the process of degreasing the carburetor off. Purchase can of compressed air. 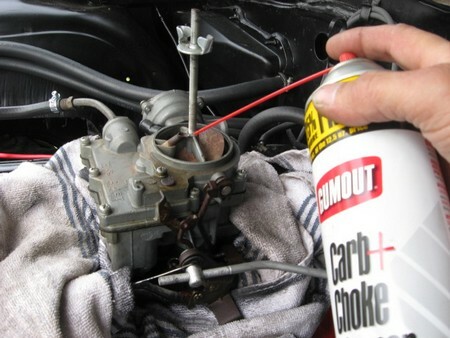 Use this to remove residue from the inner parts of the carburetor. Pressure from the can will blow the debris away gently. You won’t run the risk of damaging the carburetor by using high pressure. After these steps you will need to put your carburetor back into its proper place at the car engine. Use the same method of removal as stated above in reverse order. Use the same bolts to replace the carburetor to the engine manifold. Reattach all tubes and lines. Count to make sure there are five. Now the care will run smooth because the carburetor has been degreased and functioning optimally and efficiently..